HEXUS is going competition c-r-a-z-y! 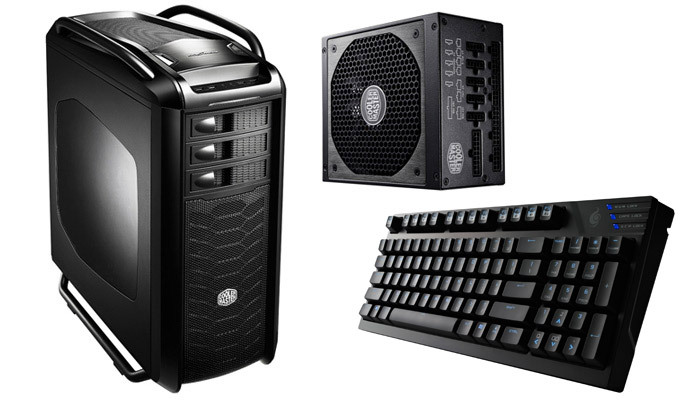 This time around, we've teamed up with Cooler Master to give all our European readers the chance to win one of three CM Storm gaming bundles! There's more than £600 worth of hardware waiting to be won - including chassis, power supplies, keyboards, mice and mouse mats - so take a look at the prizes and then claim your free entry! We'll be picking the names of our three lucky winners shortly after the competition closes, but remember, you've got to be in it to win it! The prize draw is open to European HEXUS readers (inc. UK and Ireland) aged 12 years or over. The competition winner will be picked at random from all eligible entries that arrive by midnight of the closing date, January 4, 2013. The winners will be notified via email by January 11, 2014. The winner must claim their prize within 7 days of the promoter sending notification. If the prize is unclaimed after this time, HEXUS reserves the right to offer the unclaimed prize to a substitute winner selected in accordance with these rules. Thanks Hexus for another great competition. Since when was the Isle of Man not in Europe? Denied. I like that Cosmos Case, looks really good and has loads of space inside for my watercooling kit. I have a mechanical keyboard on my wishlist this year so that keyboard would be good too. Don't have a need for a power supply but having one spare is a luxury I can appreciate. Cheers for another awesome give away.